* Texas is really big. Like Germany-times-two big. * El Paso, Texas is 90 miles closer to San Diego, California than it is to Texarkana, Texas. Texarkana is about 50 miles closer to Chicago, Illinois than it is to El Paso. Perryton, Texas (in the Panhandle) is 40 miles closer to Minneapolis, Minnesota than it is to Brownsville, Texas. * Texas is one of the most ethnically diverse states in the U.S. Despite the image some people have of a backward, racist state, Texas is only 45 percent White, and Houston is more ethnically diverse than even New York City. * Texas is also not as conservative as it's portrayed: Hillary Clinton destroyed Donald Trump in Dallas, Houston, Austin, San Antonio, El Paso and many other larger Texas cities. Texas has about as many Democratic voters as the state of Connecticut has people. * Texas literally brings power to the people. It's the No. 1 producer of oil, lignite coal and natural gas in the U.S., and is also the No. 1 state in wind power. * The Texas city of McKinney recently voted to spend $62.8 million dollars ... to build a high school football stadium. Are you gonna eat tacos and lick a cactus and wear your hat? Here's a great Texan gentleman. Our "king", dude. 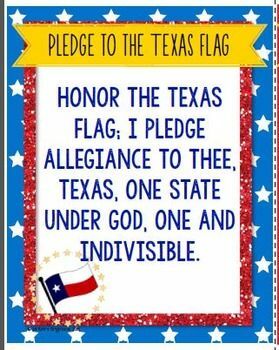 Happy Day Texas. Don't mess with Texas! Y'all stealing the Chilean flag? LOL....you nicked that that line from 'An officer and a gentleman'. I was talking to somebody about it today and she said, "I wish we were independent now!" Ben Reilly wrote: I was talking to somebody about it today and she said, "I wish we were independent now!" Amen, brother. I wish my dream about an independent California were real, today. * Of all 50 states, Texas has the most pet tigers per capita. In fact, while there are only about 3,000 tigers left in the wild, between 10 and 20 thousand pet tigers are estimated to live in Texas. * There is a time capsule which was buried in 1968 in Amarillo Texas containing the passbook to a bank account with a $10 deposit, expected to be worth $1 quadrillion when it is opened in 2968. * 'Deep in the Heart of Texas' was banned by the BBC during the Second World War on programs that might be heard by factory workers, who might lose productivity to the song's clapping routine. * In Austin, Texas in the 1880s, the United States suffered one of the nation's first serial-killing sprees as eight people were stabbed to death by someone dubbed the "Servant Girl Annihilator." The murders stopped in 1885. Three years later, the Jack the Ripper murders began, and some people think it was the same killer. * San Antonio, Texas has the highest percentage of LGBT parents in the country. 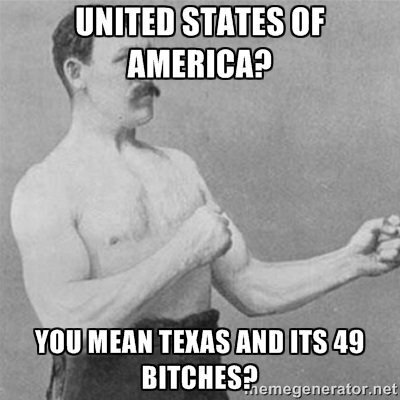 * Texas is the only state to enter the United States by treaty rather than annexation. 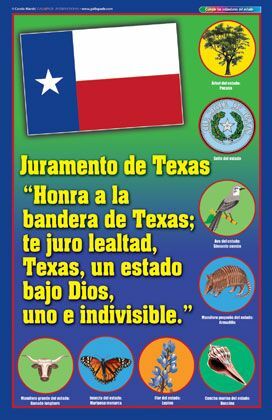 "Natives of Texas have sharper teeth than any other American. This is to help crunch those crunchy tacos but many years ago these teeth were used to crunch cactus prickle-things." I've had whisky. I've got many more facts. "Texans cast no stones. So no one fucks with those fuckers"
Yeah, Tagalog! You know, from the Philippines. Umalis kayo sa iyong mga pekeng mga katotohanan. Ben Reilly wrote: Yeah, Tagalog! You know, from the Philippines. Texas (@ 261,797 sq. miles/678,054 sq. kms..) can be easily fitted inside New South Wales (312,528 sq miles/809,444 sq. kms..), with enough elbow room left over for a couple of those piddlin' little Eastern US' of A states..